Amazon is planning to acquire Jabong , which is India’s second biggest online Fashion retailer. The move however is believed to be aimed at competing with Flipkart. Although the company with an interest to acquire the fashion portal is in the preliminary talks to do so, Jabong has other suitors that can matter, as per the report. Jabong, has investment from Germany’s Rocket Internet and Swedish investment firm Kinnevik. 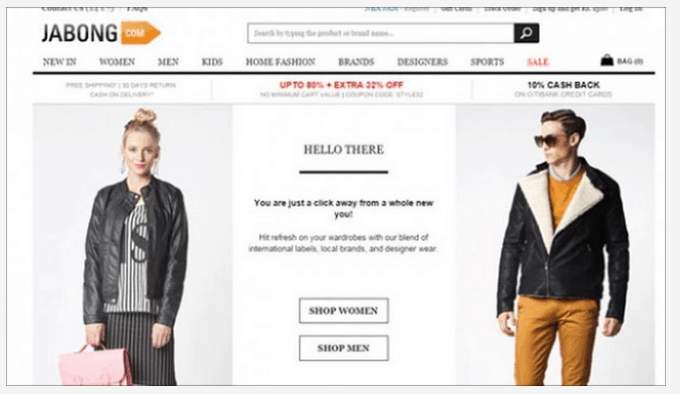 Moreover, a recent regulatory filing by Rocket Internet revealed that the value of the fashion portal is approx $500 million or Rs 3,000 crore. According to sources close to the deal, Jabong is standing firm for at least $700 million. Jabong did not reply to emailed questions. Amazon said it does “not comment on anything we may or may not do in the future”. “After Myntra got acquired by Flipkart, Jabong is the ideal candidate,” said a person who is working closely with Amazon on the negotiation.” A big chunk of the $2 billion that Amazon founder Jeff Bezos has promised to invest in India is meant for acquisitions,” he said. Amazon and Flipkart are battling to acquire the top spot in the Indian online retail space since Amazon started its India operations in May last year. According to a recent report by Crisil the Indian ecommerce segment will reach Rs 50,000 crore by 2016.